Constitutional law professor Herman Schwartz has an excellent essay at Reuters.com about the battles over presidential appointments to the federal courts, the right’s decades-long and highly successful effort to capture this issue and the slowly-stirring effort by progressives to (finally, thank the lord!) respond. 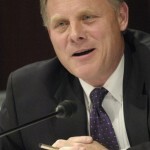 As Schwartz notes, one positive development that may soon be on the agenda is the demise of that absurd and archaic U.S. Senate institution known as the “blue slip” — the system of “courtesy” whereby any single senator of either party may block a nominee from his or her own state without explanation. 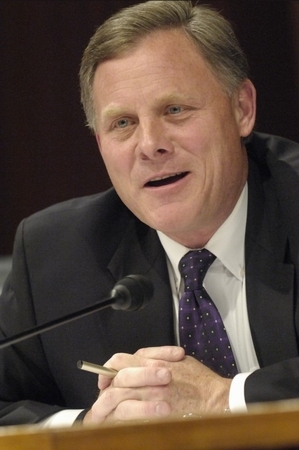 As followers of N.C. Policy Watch are well aware, Senator Richard Burr has been one of the most egregious abusers of this silly rule for several months now with his outrageous and unexplained blockage of an African-American federal prosecutor named Jennifer May-Parker whom President Obama nominated to fill an eight-year-old vacancy on the Federal District Court for the Eastern District of North Carolina last June. Thus far, because of Burr’s silent refusal to give his blessing, May-Parker has not even received a hearing — a fact rendered all the more outrageous by the fact (noted in this space last week) that Burr endorsed her for the job in 2009! Let’s hope senators act soon to repeal this absurd rule — something Republicans did when they were in charge of the Senate Judiciary during the Bush administration. And let’s hope that this time, it’s a once-and-for-all decision.